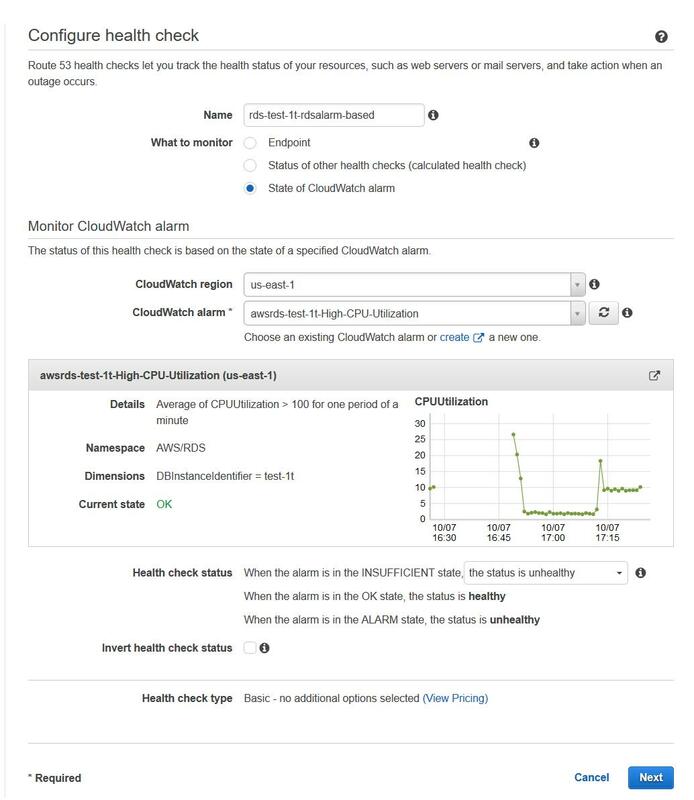 -> This condition triggers a "Route53 Health Check to FAIL"
-> This then triggers "A ROUTE 53 Health Check alarm to go into ALARM state"
b. Configure to look for "1 out of 1 datapoints"
c. Period to be "1 minute"
d. Configure Statistic to be "Standard" and select "Average"
Note: The goal is to configure a CloudWatch alarm that will never be triggered based on the triggering condition. b. 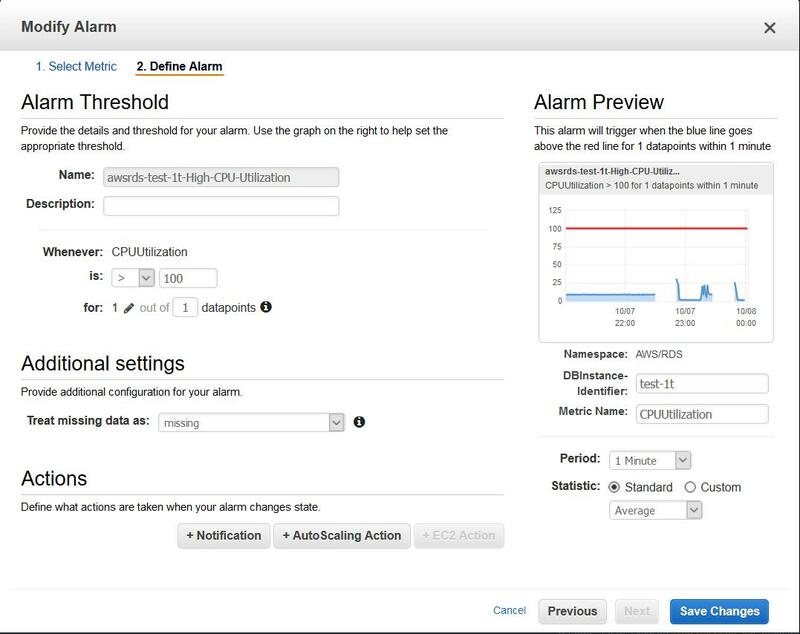 In the Alarms tab click on "Create alarm"
c. Under "Send notification" select "Yes"
i. Under "Protocol" select "AWS Lambda"